Proper care for your vehicle’s transmission is the same as proper care for anything else in life–your engine, your body, your relationships, etc. The more attention you give it, and the better you treat it, the better it’s going to treat you. That includes the timely maintenance services for your vehicle’s transmission, including computerized transmissions, transmission fluid flushes, fluid changes, and much more. As soon as you notice a problem with your transmission’s response time, gear slippage, or problems with acceleration, visit our repair facility. Being proactive with your transmission services will solve a lot of performance problems. It could also be the difference between simple maintenance service and a complete transmission rebuild or replacement. 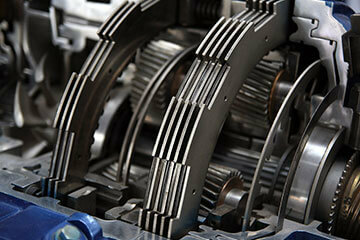 Transmission Technicians in Massapequa knows how fix any transmission malfunction you bring to us. But most importantly, we can make sure you avoid malfunctions altogether. We’ll keep you on a timely and efficient maintenance schedule that will recognize potential problems before they turn into costly repairs or breakdowns. We are truly a one-stop shop for all transmission services for all foreign and domestic vehicles. In fact, for Long Island area drivers we should be your ONLY stop for transmission services. All vehicle owners in the Metro NY area should know that Transmission Technicians is the go-to repair facility in the area. You can trust us for all of your automatic and manual transmission repairs, rebuilds and replacements. Whatever vehicle transmission is giving you trouble, let us have a look. We specialize in performing services for any car, truck, 4-wheel drive, or CVTs. Many mechanics are not experienced or up-to-date in their training to handle the services for the industry’s influx of new CVTs. Our transmission services cover a wide range of vehicle components including all clutch repair and replacement services. Our team will also perform all differential adjustments after a precise diagnosis. We’ll let you know if your differential can be fixed with maintenance or if it requires a rebuild. Schedule Your Transmission Services Today! We look forward to answering your most difficult questions and solving your most troublesome transmission issues. We’ll give you a correct and clear diagnosis that gives you the best course of action for your transmission service. Transmission Technicians in Massapequa get it right the first time, so save yourself the time and the money by giving us a call before you go anywhere else. We can be reached at (516) 798-7600, and we can’t wait to serve you, so call now!